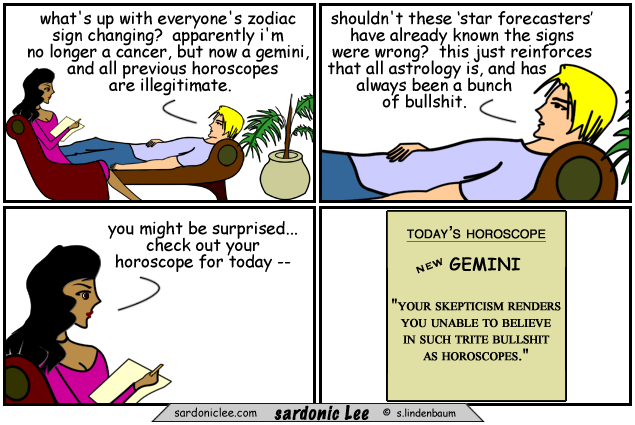 You are such a skeptical horoscopian. The more others say you should be respectful of people in positions of power the more you will go out of your way to show you are a free individual and you bow to no one’s authority. My sign remains Cuba Libra forever! 69 in the title actually looks sort of like the Cancer symbol. Intentional? if you thought so, then yes. The new astrology crap is a real zodiac killer.